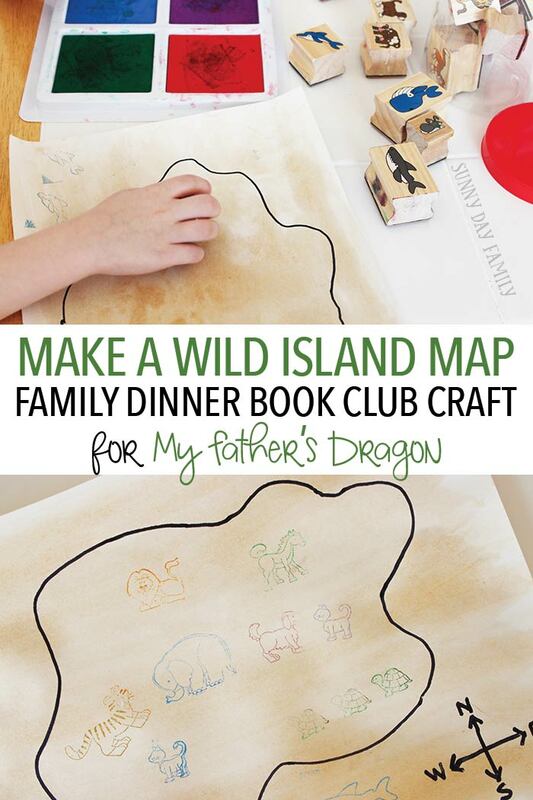 Make a Wild Island Map for a Family Dinner Book Club craft inspired by My Father's Dragon. A little boy meets a cat and travels to an island to rescue a baby dragon. How could you not love this month's pick for Family Dinner Book Club? 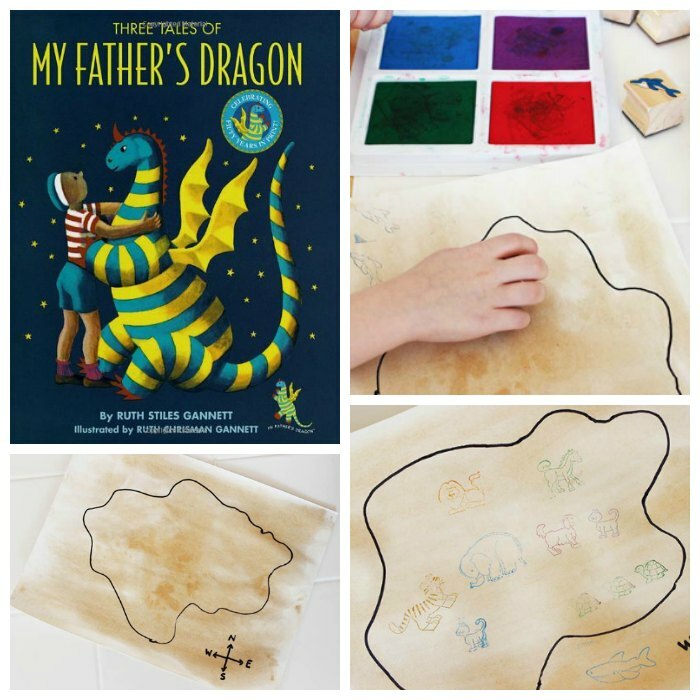 Ruth Stiles Gannett's My Father's Dragon has been delighting children for more than 50 years, and yours will love it too. 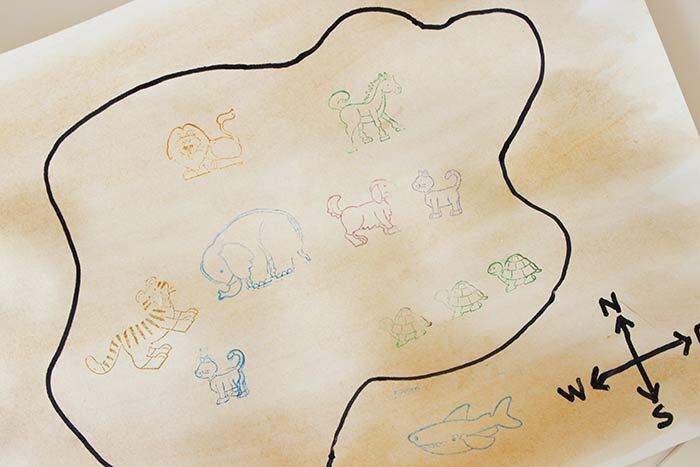 We did, and had so much fun making our own Wild Island maps inspired by this magical tale! We are almost at the end of this year's Family Dinner Book Club, but we have so much excitement in store in 2017! If you are just joining us, Family Dinner Book Club is an entire experience to help you share a book with your family. I provide a book inspired craft to accompany my co-hosts' conversation starters, service project, and book themed menu. Be sure to visit Jodie of Growing Book by Book for the conversation starters & service projects and Sarah of Chef Sarah Elizabeth for what is always a mouth watering menu. This month's craft is inspired by My Father's Dragon and its wonderful Wild Island. Optional Art Supplies - Markers, Glitter, Stickers, etc. The first step is to age your paper to make a really fun old fashioned map effect. You can do this easily by painting white construction paper with tea bags. 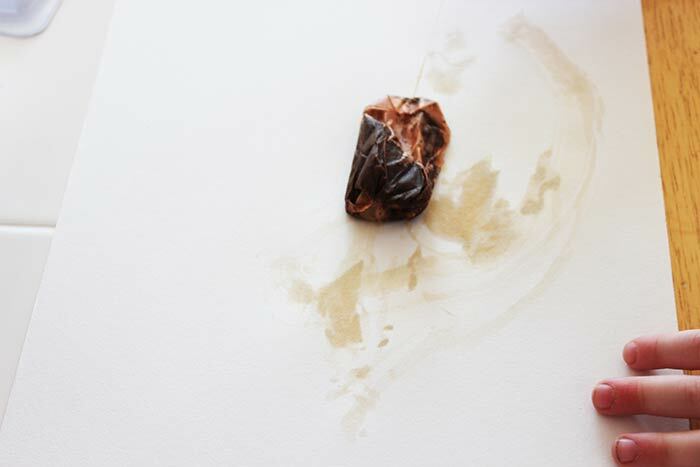 Simply brew a few tea bags, allow to cool, then use them to "paint" an aged brown color onto your paper. Allow the paper to dry completely, then draw an outline of Wild Island on your paper with a black marker. Now let your kids be creative and add in animals any way they would like. 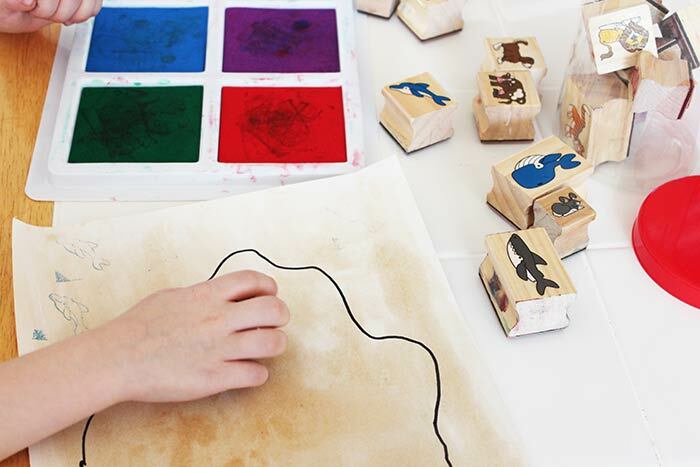 We used our animal stamp set, but you can draw with marker, decorate with stickers, use glitter... the only limit is your imagination! 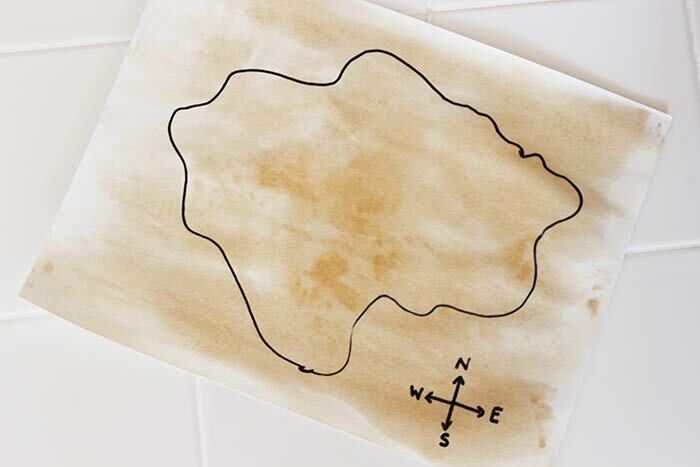 When you're finished, allow your map to dry (if needed). You can even laminate it and use it as a placemat for your Family Dinner Book Club night! Now be sure to head on over to Jodie of Growing Book by Book for your conversation starters & service projects and Sarah of Chef Sarah Elizabeth for a book inspired menu. And we'd love to see photos of your Family Dinner Book Club experience on our Facebook page! I love these maps. We have been talking about maps and directional words so this will be perfect. Plus, these would make awesome placemats for dinner club. Love it!